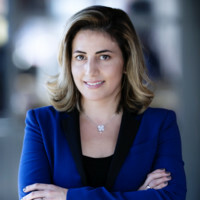 Yasi Baiani, vice president of product management at Wonolo, shares how she maximizes impact as a leader by pursuing her passion. Anna Vander Wall: Yasi, one of our favorite things is to interview driven, successful women like yourself. Tell us a little about your career path. Did you always know you wanted to be an executive? Yasi Baiani: Growing up, I definitely didn’t have any idea what being an executive meant. But looking back at my childhood, it’s clear that I was always a “boss girl.” From leading all the simple games at elementary school to starting my first business when I was 14, I always had leadership drive. That innate drive led me to take on more and more responsibilities at each stage of my career, which meant I was always quickly promoted into leadership roles. AVW: Do you have any tips to share with others on how to identify and pursue their passions? YB: I’ve been able to position myself to work on things that I’m passionate about by knowing my goals and values well and by constantly educating and re-inventing myself. My advice to others is to be open and honest with yourself about what makes you tick. Prioritize pursuing passion and happiness over big financial packages. If you follow your passion, you’ll most likely do big things in your field, and financial rewards will follow. More importantly, though, you’ll be happy and satisfied day-to-day, which in turn allows you to feel accomplished both personally and professionally. Another helpful practice is to write down your short-term (six- to 12-month) and long-term (two- to five-year) goals. Then religiously refer to these to ensure you’re on track. These goals should guide you to only take on the opportunities that are aligned with your values and/or will help you reach your goals rather than distracting you from them. AVW: What have you found to be the most successful approach when it comes to creating captivating products? YB: The most captivating products solve real customer problems in a really big market, and do it in a way that resonates with people. I always emphasize that understanding the underlying psychological needs of consumers, not just their surface needs, is key to building successful products that scale. In order to tap into the underlying psychological needs of consumers, product managers use various resources, including UX research, market research, data, and consumer service reports. Another factor that’s essential in launching successful products is having a team of designers, engineers, scientists and business professionals that can and will deliver high-quality products over and over again. No matter how brilliant your idea is or how much demand there is for it in the market, your product launch will only be successful if your team feels motivated and obligated to deliver all the pieces you request in a high quality and timely manner. One thing that has empowered me to motivate my teams, even during crunch times, is to paint the big picture for them by communicating the “why” of the consumer story instead of just telling them “what” to do. Humans, by nature, are a lot more invested and interested if they understand why something they’re asked to do is so important and how their work translates into business values. AVW: You seem to have cracked the code on the best ways to manage teams and influence people. Any other secrets you can share with us about leadership? YB: Empathy, which means seeing things through the lens of another, is a skill that’s key to success when working with anyone. However, it’s not getting as much attention as it should in the workplace. Empathy is an attribute that’s innate to me, but I constantly try to get better at it, too. It’s been fundamental in making me an effective product manager and leader because it allows me to have a leadership style that’s not one-size-fits-all. Instead, I try to understand what motivates each individual. This is key for product leaders, as we rely on so many teams to do their jobs well and on time in order to have a successful product launch that performs in the market. AVW: As you’ve grown in your career, you’ve always gone the extra mile to give back by sharing your knowledge as a speaker and writer. Where did this drive come from? YB: A lot of it’s natural. Making an impact has always been important to me, so I like teaching and mentoring. As a career woman, I know how hard it is to jump the professional hurdles. I see it as my responsibility to inspire others, especially all girls and women, to achieve their goals, to think outside the box, and to be the best version of themselves. 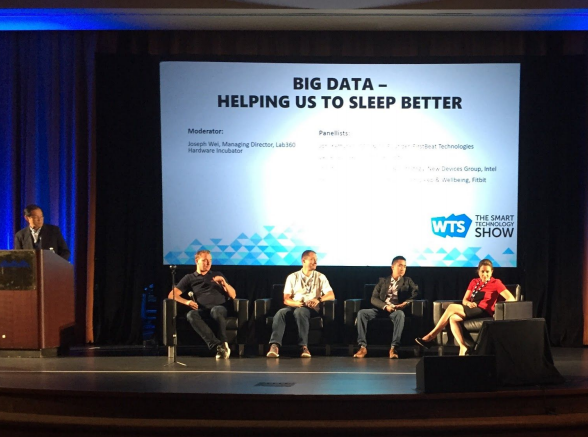 Yasi Baiani participates in a panel of experts speaking about big data, sleep, and wearable devices. Image courtesy of Halo Neuroscience. We’re in an era where social networks like LinkedIn enable this. I always advise people to find their passions and get their thoughts out there. While it wasn’t part of my strategy, doing this gave me exposure and created a brand around my voice. I recently traveled to the Middle East and was recognized for my work, which made me realize that the world is really small and that you can easily impact it by putting yourself out there. AVW: Do you have any advice for others on how to build a personal brand? YB: Find a topic that you’re passionate about, and build expertise around it. Take a stand and be outspoken. Be strategic and lean toward sharing positivity vs. venting your frustration. Self-educate so you can continue to have something interesting to say. Above all, be purposeful! My purpose for being an advocate and speaker is to inspire others, to share best leadership practices, and to bring attention to important trends and topics in technology and digital health. AVW: Yasi, it’s inspiring to hear your thoughts on impact-driven leadership and product management.